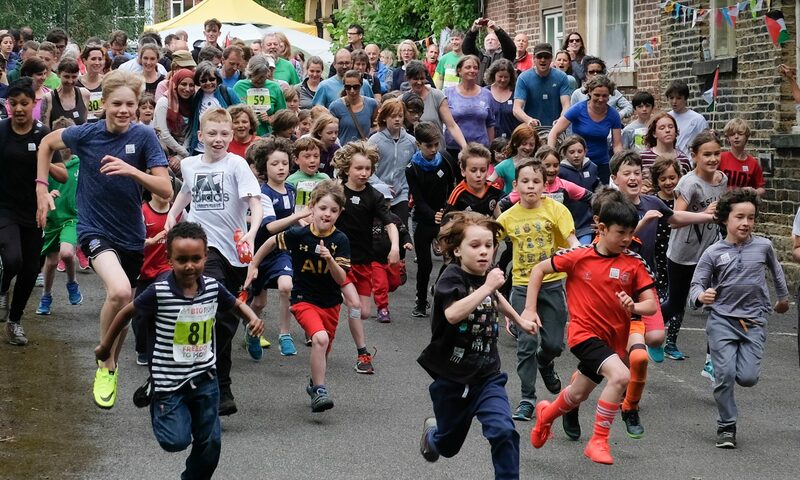 Louise Haigh has very kindly agreed to open this year’s small park BIG RUN. She will also run the first half hour time slot – no mean feat for a super busy Member of Parliament. We asked her about her views on justice for Palestinians and what her thoughts are on the upcoming run – read what she said below. What is the single most important thing that needs to be done to achieve justice in Palestine? I was in Palestine in February this year and just a couple of weeks ago I secured a debate in Parliament on the humanitarian situation in Gaza. I don’t think anyone could say that there is one, single thing that will bring justice to the Palestinian people so in no particular order I think recognition, arms control and properly recognising trade with the illegal settlements as illegal are steps we can immediately take to set us on the road to justice but only a sovereign Palestinian state, I believe, will see justice delivered. Supporting the ambitions and life chances of young women and girls who are living in unimaginably tough circumstances is really important to me. 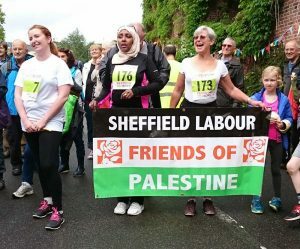 We have so many freedoms and opportunities in this country compared to young people growing up in Palestine, and events like this can be a great way to help make life easier for those who don’t. It’s easy to be cynical about trying to change the world but if I can take part, have fun and help promote and raise funds for such a good cause then it’s worth tiring myself out. How did you enjoy the event last year and why? Last year’s run took place right after the General Election – so by comparison it was fairly relaxing. The turnout and enthusiasm of the people there was really encouraging and I’m hoping the weather this summer can coax even more people out for the occasion. How many laps will you do this time? I can’t remember how many I did last year, it was only a couple of days after the most exhausting election campaign I’ve ever known so I walked around it pretty leisurely with Julie Pearn and chatted the whole way round. I’ll say four and hope I can bust expectations. Who will run the fastest lap, you or Magid Magid? I’ll do my best but I’d imagine it’ll be Magid – I’ve recently taken up boxing and football again so I’m built for strength rather than than speed! Sign up to the newsletter and be sure to find out about the 2019 edition of this great event! If you need to contact us please email small.park.big.run@gmail.com We will reply as soon as we can.